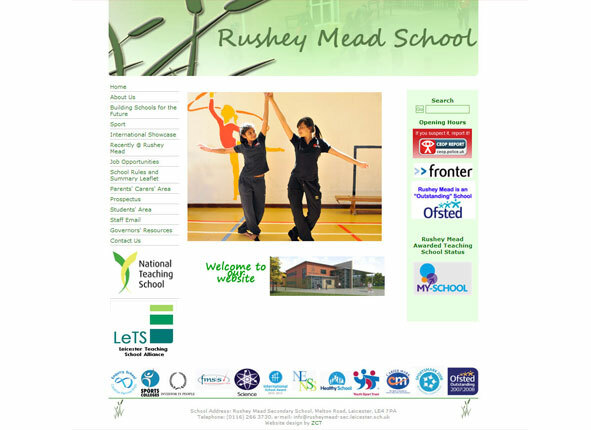 We built the Rushey Mead website some time ago and Rushey IT staff have been running it and improving it for a few years now. They do a great job and it’s always nice to see something you’ve started evolve for the better. Our WordPress websites suit school websites because the user role structure allows staff to update the site via moderated posts. The site is kept safe and secure by our recommended managed hosting so all updates and backing up are taken care of. Being independent we are always happy to discuss setting up a school website in any way the school sees fit.